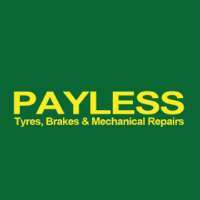 Payless Tyres, Brakes & Mechanical Repairs is a premier mechanic in Strathfield South that specialises in car repairs, tyres, brakes, mechanical repairs, wheel alignment and much more. Payless Tyres, Brakes & Mechanical Repairs is a premier mechanic in Strathfield South that specialises in car repairs, tyres, brakes, mechanical repairs, wheel alignment and much more. Our store stock tyres to suit all types from budget brands to high-performance brands. Our extensive supply of tyres will make it easier for our customers to find what you're looking for. Our tyre brands include Goodyear, Bridgestone, Kumho, Pirelli, Federal, Cooper, Sailun, Kenda, Mikey Thompson and more. Looking for the best mechanic in Strathfield South? Call or visit Payless Tyres, Brakes & Mechanical Repairs today! Our extensive supply of tyres will make it easier for our customers to find what you're looking for.